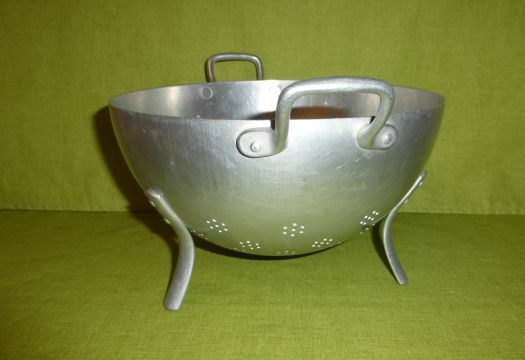 Nice aluminium colander with 3 feet, in good condition, not bumped. 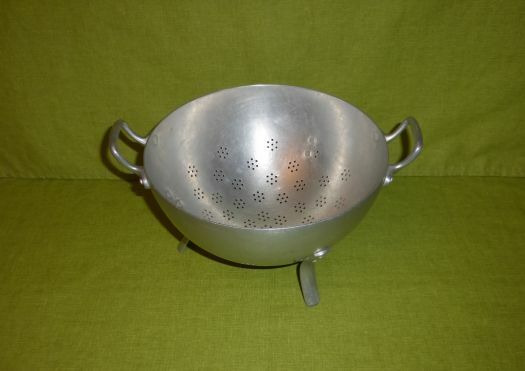 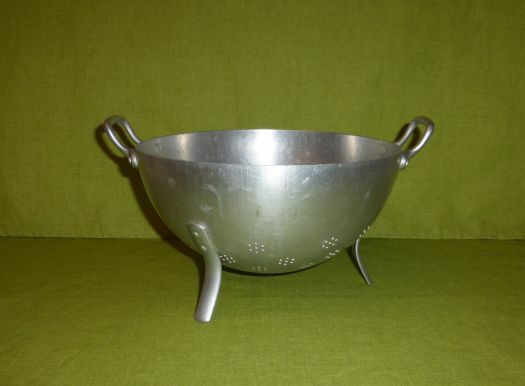 This colander is rather large, stable and pleasant to use in the kitchen because it is light. 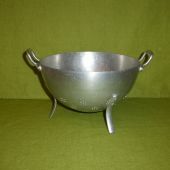 Height 14,2 cm ; diameter 24 cm.